Interestingly the Porsche 996 Turbo and 996 GT3 do not use the IMS Bearing design, so they do not have the same issue as other 996’s. The Mezger engine is designed to handle the punishment of Motorsport, so it tends to be rock solid. Currently the a good well maintained 996 Turbo will run between $35,000 and $70,000 depending on the condition and mileage. When you consider that you get a reliable 911 with over 400 horsepower that can launch from 0-60 mph in 4.2 seconds (and we all know how conservative Porsche tends to be about their 0-60 mph figures), you have a performance car bargain. With its 0-60 mph figure and a top speed of 189 mph, it definitely has early 2000’s supercar performance. This video from Hoovies Garage shows the latest addition to the garage. It is perhaps the smartest car that Tyler has ever purchased. The useable high performance machine can even haul around small ones in the back seat. Simply put, it is probably the perfect sports car, especially for the price. 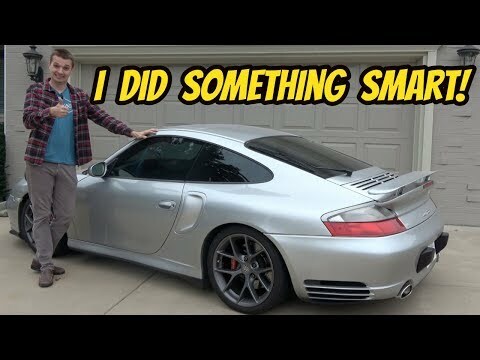 Check out the video and then scroll down to the comments and let us know what you think of the Porsche 996 Turbo.